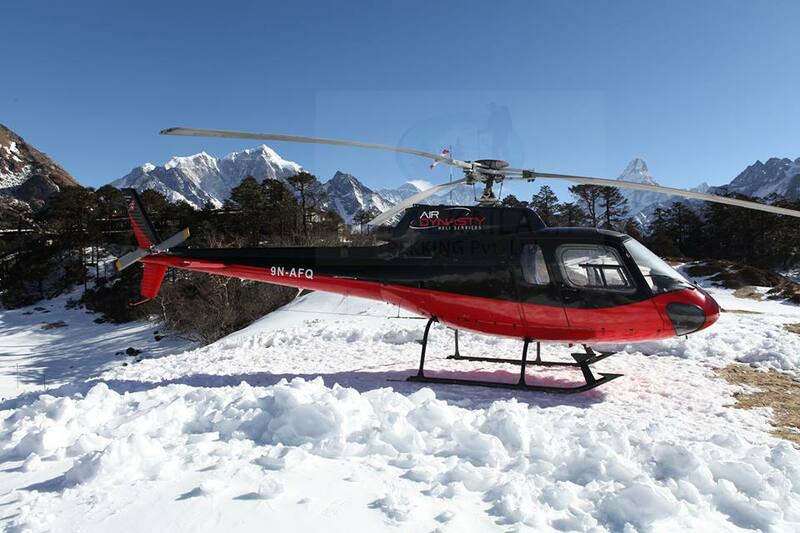 Fly above the roof of the world on a 3.5-hour helicopter flight across Mount Everest and get privileged views of areas such as the Khumbu homeland of Nepal’s Himalayan tribes. Admire the majestic peaks of Ama Dablam, Pumori, Cho Oyu, and more. Get up-close-and-personal with the traditional cultures of the Himalayan people on a full-day tour Nepal guide info team that includes a privileged helicopter flight above Mount Everest and a trek to the Everest base camp. You will be transferred to the domestic terminal of Kathmandu Airport for the start of your flight over the world’s highest mountain range. Fly within 200 meters of Mt. Everest and many other mountains. Make a brief landing at Lukla to refuel before heading to the airstrip in Syangboche (12,340 feet). Before touching down in Syangboche, swoop around the Khumbu region for aerial views of the magnificent Himalayan peaks. After landing in Syangboche, explore the majestic Solukhumbu region. Trek to the base camp of Kala Pather, enjoying 360-degree panoramic views of the world’s tallest mountains from ground level.